The event hosted by AMI Plastics is set to bring together industry-elite speakers from around the world to evaluate and discuss the trends, challenges and opportunities facing the singe-serve capsules industry. 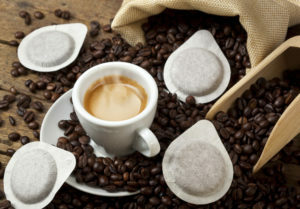 Being the U.K’s foremost supplier of filtration paper to the tea and coffee industry, plus with experience of supplying some of the worlds biggest coffee capsule manufacturers, we feel that it is absolutely necessary to share our knowledge on the subject. This includes the innovations we have made with different applications, different types of conversion machines and how our papers can reduce the impact on the environment. Both sales and technical representation will be present at the event, from Union Papertech, along with members of our Purico USA office. If you’re interested to see how we could assist in your single serve project, please drop us a line at sales@upapertech.com. To attend the event you can register here. Union Papertech will be attending a variety of other trade shows and expos in 2019 such as the World Tea Expo, The Tea and Coffee World Cup and the Single-Serve Capsules Conference: 3rd edition. You can keep up to date with all our latest events by viewing the “events” page on our website.